Focusing only on the technical, "crunchy, wonky stuff" behind policies or products sometimes misses the humanity at the center of why we're doing the thing in the first place. Because systems -- whether algorithms and artificial intelligence, or capitalism and other such "operating systems" -- need to work for people, not the other way around. Or so observes economist and author Arthur Brooks, president of the American Enterprise Institute (AEI) -- a public policy think tank focused on free enterprise (and where he recently announced he will be passing on the baton after a decade of leadership). So how does this philosophy of human dignity and human potential apply to automation and jobs, to education, to entrepreneurship? And not just in the "conventional" entrepreneurial sense of building companies and products -- but in changing one's life? The answer, argues Brooks in this quick, hallway-style episode of the a16z Podcast with Sonal Chokshi (recorded in one of our earlier Washington, D.C. roadshows) -- has to be rooted in the philosophy of human meaning. And that involves truly needing each other... so no one is left behind given technological progress and innovation. In this episode of the a16z Podcast -- which originally aired as a video on YouTube -- general partner Alex Rampell (and former fintech entrepreneur as the CEO and co-founder of TrialPay) talks with operating partner Frank Chen about the quickly changing fintech landscape and, even more importantly, why the landscape is changing now.Should the incumbents be nervous? About what, exactly? And most importantly, what should big companies do about all of this change? But the conversation from both sides of the table begins from the perspective of the hungry and fast fintech startup sharing lessons learned, and then moves to more concrete advice for the execs in the hot seat at established companies.---The views expressed here are those of the individual AH Capital Management, L.L.C. (“a16z”) personnel quoted and are not the views of a16z or its affiliates.This content is provided for informational purposes only, and should not be relied upon as legal, business, investment, or tax advice. You should consult your own advisers as to those matters. References to any securities or digital assets are for illustrative purposes only and do not constitute an investment recommendation or offer to provide investment advisory services. Furthermore, this content is not directed at nor intended for use by any investor or prospective investor, and may not under any circumstances be relied upon when making a decision to invest in any fund managed by a16z. (An offering to invest in an a16z fund will be made only by the private placement memorandum, subscription agreement, and other relevant documentation of any such fund which should be read in their entirety. )Past performance is not indicative of future results. Any charts and graphs provided within are for informational purposes solely and should not be relied upon when making any investment decision. Please see https://a16z.com/disclosures for additional important information. with Nick Quah (@nwquah), Connie Chan (@conniechan), and Sonal Chokshi (@smc90)It's a podcast about podcasting! About the state of the industry, that is. Because a lot has changed since we recorded "a podcast about podcasts" about four years ago: podcasts, and interest in podcasting -- listening, making, building -- is growing. But by how much, exactly? (since various stats are constantly floating around and often out of context); and what do we even know (given that no one really knows what a download is)?And in fact, how do we define "podcasts": Should the definition include audio books... why not music, too, then? So much of the podcasting ecosystem -- from editing tools to the notion of a "CD phase" to music companies like Spotify doing more audio deals -- stems from the legacy of the music industry. But other analogies -- like that of the web and of blogging! -- may be more useful for understanding the podcasting ecosystem, too. Heck, we even throw in an analogy of container ships (yes, the ocean kind!) to help out there.If we really think medium-native -- and borrow from other mediums and entertainment models, like TV and streaming and even terrestrial radio -- what may or may not apply to podcasting as experiments evolve? In this hallway-style jam of an episode, Nick Quah (writer and publisher of Hot Pod) joins a16z general partner Connie Chan (who covers consumer startups among other things) in conversation with Sonal Chokshi (who is also showrunner of the a16z Podcast) to talk about all this and more. We also discuss the obvious and the not-so-obvious aspects of monetization, discovery, search, platforms... and where are we in the cycles of industry fragmentation vs. consolidation, bundling vs. unbundling, more? And where might opportunities for entrepreneurs, toolmakers, and creators lie?---The views expressed here are those of the individual AH Capital Management, L.L.C. (“a16z”) personnel quoted and are not the views of a16z or its affiliates.This content is provided for informational purposes only, and should not be relied upon as legal, business, investment, or tax advice. You should consult your own advisers as to those matters. References to any securities or digital assets are for illustrative purposes only and do not constitute an investment recommendation or offer to provide investment advisory services. Furthermore, this content is not directed at nor intended for use by any investor or prospective investor, and may not under any circumstances be relied upon when making a decision to invest in any fund managed by a16z. (An offering to invest in an a16z fund will be made only by the private placement memorandum, subscription agreement, and other relevant documentation of any such fund which should be read in their entirety. )Past performance is not indicative of future results. Any charts and graphs provided within are for informational purposes solely and should not be relied upon when making any investment decision. Please see https://a16z.com/disclosures for additional important information. with Benedict Evans (@benedictevans) and Steven Sinofsky (@stevesi)What does Apple's recent event — in which a range of new services was announced, from Apple News Plus to Apple TV Plus to the Apple card — mean for the company's overall strategy and tactics? In this another of a16z's 'hallway conversations', Benedict Evens and Steven Sinofsky discuss the build up, announcements, and postmortem of the recent Apple event, and consider what it all means in terms of a big company's evolution into services. How many different places is Apple now putting a tap into the tree, with new subscriptions available? What’s the positioning underlying all those different services, from a new credit card to new magazines and content, all bundled up together?The views expressed here are those of the individual AH Capital Management, L.L.C. (“a16z”) personnel quoted and are not the views of a16z or its affiliates.This content is provided for informational purposes only, and should not be relied upon as legal, business, investment, or tax advice. You should consult your own advisers as to those matters. References to any securities or digital assets are for illustrative purposes only and do not constitute an investment recommendation or offer to provide investment advisory services. Furthermore, this content is not directed at nor intended for use by any investor or prospective investor, and may not under any circumstances be relied upon when making a decision to invest in any fund managed by a16z. (An offering to invest in an a16z fund will be made only by the private placement memorandum, subscription agreement, and other relevant documentation of any such fund which should be read in their entirety. )Past performance is not indicative of future results. Charts and graphs provided within are for informational purposes solely and should not be relied upon when making any investment decision. Please see https://a16z.com/disclosures for additional important information. with Safi Bahcall (@safibahcall), Vijay Pande (@vijaypande), and Sonal Chokshi (@smc90)A "moonshot" is a destination (like going to the moon, quite literally) -- but nurturing "loonshots" (which often involves a number of stumbles along the way) is how we get there. This goes beyond the trite mantra of failing fast! It is about not having "false fails" or not killing the seemingly small ideas that could lead to outsized yet unexpected outcomes, observes Safi Bahcall (physicist, ex-startup founder, and CEO of a public biotech company), author of the new book, Loonshots: How to Nurture the Crazy Ideas That Win Wars, Cure Diseases, and Transform Industries.So in this episode of the a16z Podcast -- in conversation with a16z bio general partner Vijay Pande and Sonal Chokshi -- Bahcall shares why concepts like "disruptive innovation" cause him gas; why doing market projections can sometimes be crap; and why most management books that focus on culture are b.s.Because CEOs and culture, argues Bahcall, do not control organizational behavior... but hidden incentives, "phase transitions", and specific control parameters do. So how can organizations -- of any size, big or small -- be in two states at the same time: both fluid and stable, soft and solid, with high entropy yet bound energy, and both artists and soldiers? The answer may be in a more scientific, less "squishy" framework for management at the intersection of physics and economics. Big empires always miss the small but important new ideas... can this be why? with Brian Koppelman (@briankoppelman), Marc Andreessen (@pmarca), and Sonal Chokshi (@smc90)The writer-showrunner is a relatively new phenomenon in TV, as opposed to film, which is still a director-driven enterprise. But what does it mean, as both a creative and a leader, to “showrun” something, whether a TV show… or a startup? Turns out, there are a lot of parallels with the rise of the showrunner and the rise of founder-CEOs, all working (or partnering) within legacy systems. 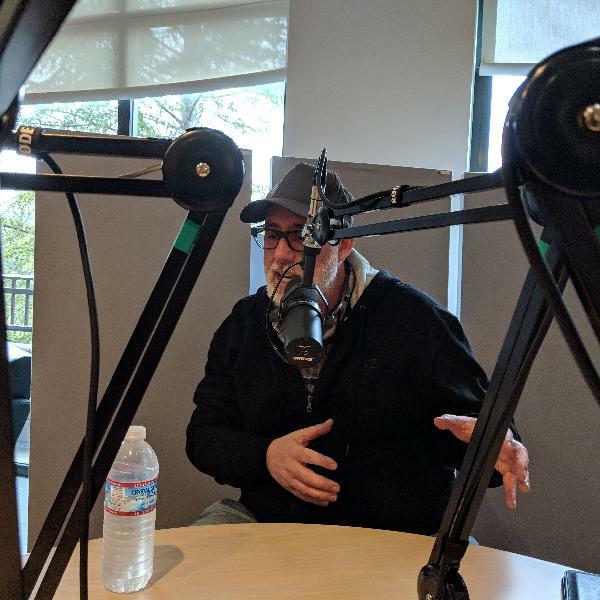 But in the day to day details, really “owning” and showunning something — while also having others participate in it and help bring it to life — involves doing the work, both inside and out.This special, almost-crossover episode of the a16z Podcast features Billions co-showrunner Brian Koppelman — who also co-wrote movies such as Rounders and Ocean’s 13 with his longtime creative partner David Levien — in conversation with Marc Andreessen (and Sonal Chokshi). The discussion covers everything from managing up — when it comes to executives or investors sharing their “notes” aka “feedback” on your work — to managing down, with one’s team; to managing one’s partners (or co-founders)… and especially managing yourself. How to tame those irrational emotions, that ego?Ultimately, though, it’s all about unlocking creativity, whether in writing, coding, or other art forms. Because something surprising happened: Instead of TV going the way of music à la Napster with the advent of the internet, we’re seeing the exact opposite — a new era of “visual literature”, a “Golden Age” of television and art. Are artists apprenticing from other artists virtually, learning and figuring out the craft (with some help from the internet, mobile, TV)? And if we really are seeing “the creative explosion of all time”, what does it take to explode our own creativity in our work, to better run the shows of our lives? All this and more in this episode of the a16z Podcast… as well as some Billions behind-the-scenes (and light spoilers, alerted within!) towards the end. with George Church (@geochurch) and Jorge Conde (@JorgeCondeBio)Renowned scientist George Church is known for his groundbreaking work and methods used for the first genome sequence, and for his work in genome editing, writing & recoding -- in fact, Church’s innovations have become an essential building block for most of the DNA sequencing methods and companies we see today. In this conversation, a16z bio general partner Jorge Conde -- who also founded a company with Church out of the George Church Lab -- take us on a wild journey into the scientist’s mind and work, starting with what the leading pioneer in the space makes of where we are today with CRISPR (especially given recent news about CRISPR babies in China), to the broader implications of all of this on a cultural level, and finally to what it really takes to go from science fiction, to lab, to reality. with Peter Ludwig, Qasar Younis (@qasar), and Sonal Chokshi (@smc90)When people talk about autonomous vehicles, we hear everything from "we're much closer than you think" to "we're much further than you think". So where are we, really, in the widespread reality of autonomous vehicles today? It depends, of course, on how you define autonomy -- which is where a handy recap and update of the SAE (Society of Automotive Engineers) levels of autonomy comes in. But still, given everything out there from self-driving shuttles to Teslas, it's really hard to tell just where we are and where the nuances of, say, Level 2-plus vs. Level 3 might come in.This episode of the a16z Podcast takes a quick pulse on where we are in the state of autonomy in 2019 when it comes to autonomous cars, shuttles, robots -- basically any "autonomous" and/or "self-driving" vehicle out there -- as well as the analogy of mobile for understanding the space: where it works, where it breaks down. But did even the mobile industry itself really have a clear iPhone "moment"? When did mobile devices that seemed so limited -- or seemed like just "toys" -- suddenly (or not so suddenly) go to an apps layer that we use every single day? How do we build "the rails" and "the trains" at the same time in this case?And perhaps most importantly, where will the spoils of this new wave of innovation go -- to Silicon Valley or Detroit? Or outside the U.S.? Who are the players? How do regulatory -- and quite frankly, nationalistic -- concerns come into play here? And finally, how does one balance the desire to embrace innovation in an open and fast, yet still very thoughtful and safe way? The answers, according to Applied Intuition co-founder and CEO Qasar Younis and CTO Peter Ludwig (in conversation with Sonal Chokshi), have to do with commodities and capitalism, with science and science fiction, with simulation and software as infrastructure, and more... And really, how we define autonomy now, and in the future. with Ryan Caldbeck (@ryan_caldbeck), Jeff Jordan (@jeff_jordan), and Sonal Chokshi (@smc90)It's clear that all kinds of commerce companies and consumer products have been disrupted -- or enabled -- by tech. Yet for certain categories, like consumer packaged goods (CPG), it seems like tech hasn't changed things very much. How is the rise of so-called "micro-brands" (or emerging brands) playing out here?And, how is it possible that "real" -- different -- innovation isn't really happening in the CPG industry, despite the tremendous legacy of brand, talent, and more in the space? How are CPG companies tackling grocery, which represents the perfect end-capsule and case study of challenges -- and opportunities -- in going from offline to online, from online to offline, and more? As for grocery itself, stores themselves (in the U.S. at least) haven't changed very much due to tech, either... is it a last-mile delivery thing; could we also possibly move to distribution-only centers in the future?Finally, while the holy grail of performance marketing and personalization remains elusive for the industry -- let’s face it, most brands are still guessing in the dark (and forget trying to customize offerings!) -- even going direct-to-consumer (DTC) hasn't been shining as much of a light here as one might expect. Or so argue the guests in this episode of the a16z Podcast, featuring Ryan Caldbeck of CircleUp, along with a16z general general partner Jeff Jordan, in conversation with Sonal Chokshi. Cuz this episode is all about CPG, DTC; micro-brands, yah you know, all kinds of commerce. with Kate Darling (@grok_) and Hanne Tidnam (@omnivorousread)We already know that we have an innate tendency to anthropomorphize robots. But beyond just projecting human qualities onto them, as we begin to share more and more spaces, social and private, what kind of relationships will we develop with them? And how will those relationships in turn change us?In this Valentine’s Day special, Kate Darling, Researcher at MIT Labs, talks with a16z's Hanne Tidnam all about our emotional relations with robots. From our lighter sides -- affection, love, empathy, and support -- to our darker sides, what will these new kinds of relationships enhance or de-sensitize in us? Why does it matter that we develop these often intense attachments to these machines that range from tool to companion -- and what do these relationships teach us about ourselves, our tendencies and our behaviors? What kinds of models from the past can we look towards to help us navigate the ethics and accountability that come along with these increasingly sophisticated relationships with robots? with Chris Burniske (@cburniske), Joel Monegro (@jmonegro), Denis Nazarov (@Iiterature), and Jesse Walden (@jessewldn)When designing cryptonetworks -- really, emerging economies -- how do we avoid some of the monetary and fiscal policy failings of "real-world" economies? Like not separating currency and capital, which accelerated and spread economic growth through the former... but also concentrated the latter into the hands of a few? Yet how can we empower users to access capital while also managing risk?If the promise of cryptonetworks is to better align incentives and value capture, then we can't make the same mistakes as we did in traditional economies. We also have the chance to do novel things not possible in the physical world, through software. So this episode of the a16z Podcast -- featuring voices from Placeholder VC and a16z Crypto -- goes deep into the nuances and mechanisms of cryptonetworks, tokens, and decentralized applications at every layer of the "stack". Chris Burniske (who has written a lot about financial modeling-influenced frameworks for analyzing crypto) and Joel Monegro (who has written about "fat protocols", and once managed the Digital Economy Department at the Ministry of Industry and Commerce of the Dominican Republic) of Placeholder VC discuss and debate all of the above -- and more! -- with a16z crypto's Denis Nazarov and Jesse Walden (co-founders of Mediachain, which was acquired by Spotify).Throughout the history of information technology, we've gone from hardware to software, and software to data. So what's next, what's the layer above data? The answer is governance -- which gives more people a way to participate in decision making around a given network -- but the answer for how to implement the best governance isn't so clear.---The views expressed herein are those of the individual personnel quoted herein. This presentation is provided solely for informational purposes and should not be relied upon when making any investment decision. References to any securities or digital assets are for illustrative purposes only and do not constitute a recommendation to invest in any instrument nor do they constitute an offer to provide investment advisory services.This content should not be relied upon as legal, business, investment or tax advice. You should consult your own advisers as to legal, business, tax and other related matters concerning any investment. Furthermore, this content is not directed at nor intended for use by any investor or prospective investor, and may not under any circumstances be relied upon when making a decision to invest in any fund. Past performance is not indicative of future results. Please seehttps://a16zcrypto.com/disclosures for additional important information. with Phil Daian (@phildaian) and Ali Yahya (@ali01)Whether in corporations, boardrooms, or political elections, voting is something we see in all kinds of social systems... including blockchains. It's the natural human tendency for how to organize decisions, and in distributed systems without centralized middlemen, it's the only clear Schelling point we can come up with.But too many people design voting mechanisms in distributed systems in isolation -- sometimes naively "porting over" assumptions from the real world or from simple cryptoeconomic models without thinking through the economic adversaries present in a larger, more rational (vs. "honest") game-theoretic system. So how are blockchain systems different from real-world paper and electronic voting systems? How can such systems be gamed, and what are the implications for cryptoeconomic security... as well as the governance of distributed organizations?This hallway-style episode of the a16z Podcast covers all this and more. Recorded as part of our NYC roadtrip, it features Cornell Tech PhD student and software engineer Phil Daian, who researches applied cryptography and smart contracts -- and who also wrote about "On-chain Vote Buying and the Rise of Dark DAOs" in 2018 (with Tyler Kell, Ian Miers, and his advisor Ari Juels). Daian is joined by a16z crypto partner Ali Yahya (previously a software engineer and machine learning researcher at GoogleX and Google Brain), who also recently presented on crypto as the evolution -- and future -- of trust.---The views expressed herein are those of the individual personnel quoted herein. This presentation is provided solely for informational purposes and should not be relied upon when making any investment decision. References to any securities or digital assets are for illustrative purposes only and do not constitute a recommendation to invest in any instrument nor do they constitute an offer to provide investment advisory services.This presentation should not be relied upon as legal, business, investment or tax advice. You should consult your own advisers as to legal, business, tax and other related matters concerning any investment. Furthermore, this content is not directed at nor intended for use by any investor or prospective investor, and may not under any circumstances be relied upon when making a decision to invest in any fund. Past performance is not indicative of future results. Please see https://a16zcrypto.com/disclosures for additional important information. withJyoti Bansal (@jyotibansalsf), Peter Levine, Satish Talluri (@satishtalluri), and Sonal Chokshi (@smc90)One of the toughest challenges for founders -- and especially technical founders who are used to focusing so much on product features over sales -- is striking "product-market fit". The concept can be defined many ways, but the simple definition shared in this episode is: it's when you understand the business value of your product.And that comes down to users, which is where the concept of "product-market-sales fit" comes in, observes Jyoti Bansal, founding CEO of AppDynamics (which was acquired by Cisco for $3.7B the night before it was to IPO). Bansal shares this and other key milestones and frameworks for company building in conversation with a16z general partner Peter Levine; enterprise deal team partner Satish Talluri (who was a director of product and growth operations there); and Sonal Chokshi.So in that shift from product-market fit to product-market-SALES fit, how much should you optimize your go-to-market for product... and even the other way around? What does this mean for product design and product management? When should companies offer services? As for pricing, how do you know you're not leaving value on the table? Again, it comes down to product-market fit: If your business case is strong, you will not be leaving money on the table, argues Bansal in this special podcast series on founder stories and lessons learned in enterprise go-to-market. with Mark Leslie (@mleslie45) and Peter LevineWhat does it actually take to win at enterprise sales? In this episode, Mark Leslie, former CEO and chairman and founding team member of Veritas Software, and a lecturer at the Stanford Graduate School of Business, and a16z general partner Peter Levine -- who worked together at Veritas -- share stories from the field all about sales and entrepreneurship in the enterprise.The wide-ranging conversation covers everything from what makes a good salesperson; to how to actually close that deal; to how to build a company that best incentivizes your sales reps.This episode is based on a conversation that originally took place at an event held at Andreessen Horowitz for veterans participating in the BreakLine education and hiring program for shifting veterans into careers in the tech industry. with Peter Levine, Bob Tinker, and Hanne Tidnam (@omnivorousread) For consumer companies, often when the holy grail of product-market fit is achieved, the company takes off: magic happens, growth unlocks. Enterprise B2B companies face a different challenge. Sometimes, despite achieving product-market fit (and knowing when you've achieved it) and winning your first cohorts of renewing customers -- growth remains a challenge. Industry analyst maps are riddled with the logos of enterprise B2B companies who built outstanding products, won outstanding initial sets of customers... and then ultimately failed to scale.In this episode of the a16z Podcast, Bob Tinker, author of the book Survival to Thrival and founding CEO of MobileIron, and a16z general partner Peter Levine, talk with Hanne Tidnam all about how to find the right go-to-market fit for the enterprise startup. How do founders avoid that moment of reckoning after product-market fit, but before growth? When should an enterprise startup accelerate sales investments? -- the "Goldilocks problem" (not too early, not too late!) -- and pick the right sales team and go-to-market model for their product and their customers? And if you're stuck in that moment where growth stalls, what are the right tools to get out of it? What are the important metrics to know both where you are, and when you're out of the woods? Veterinary oncology can inform human oncology, and vice versa -- providing a better model for looking at drug performance, interrelationships, and more. Especially when you add in data (there's no "doggy HIPAA!") and networks to get a "living laboratory at scale".Or so argues Amy Abernethy (Chief Medical and Chief Scientific Officer at Flatiron Health and advisor to One Health), who was recently named the new Principal Deputy Commissioner of the FDA, pending ethics clearance; and Christina Lopes, CEO and co-founder of One Health; in conversation with a16z bio general partner Jorge Conde. Dogs -- as a species, as pets, as companions, as family members -- evolved alongside humans, so are actually more similar to us... not just genetically and in terms of the biologic pathways that may cause cancer, but also in exposure to similar environmental factors as well.But what does this all mean when it comes to thinking about real-world evidence in science, human clinical trials, and more broadly, building a bio company? How can product designers -- of all kinds -- backwards-architect their product roadmap for data network effects? 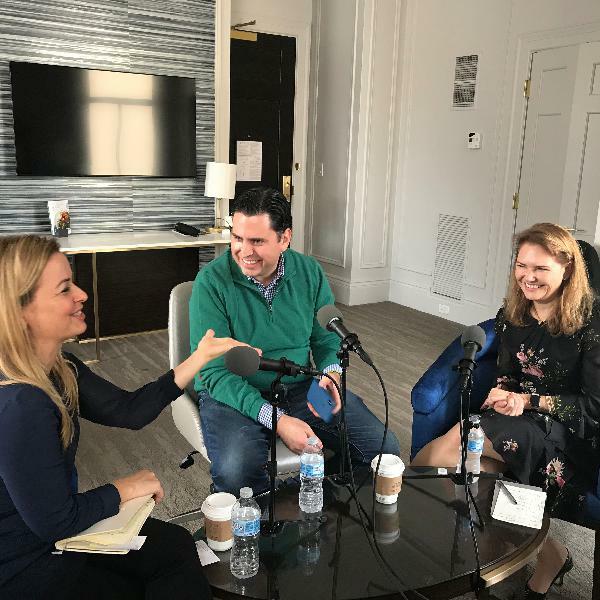 And how can bio founders keep both a big-picture roadmap in mind while also focusing on specific milestones, and while working across unconnected disciplines as well? We cover all this and more in this special episode of the a16z Podcast, recorded during the recent J.P.M. healthcare conference in San Francisco. 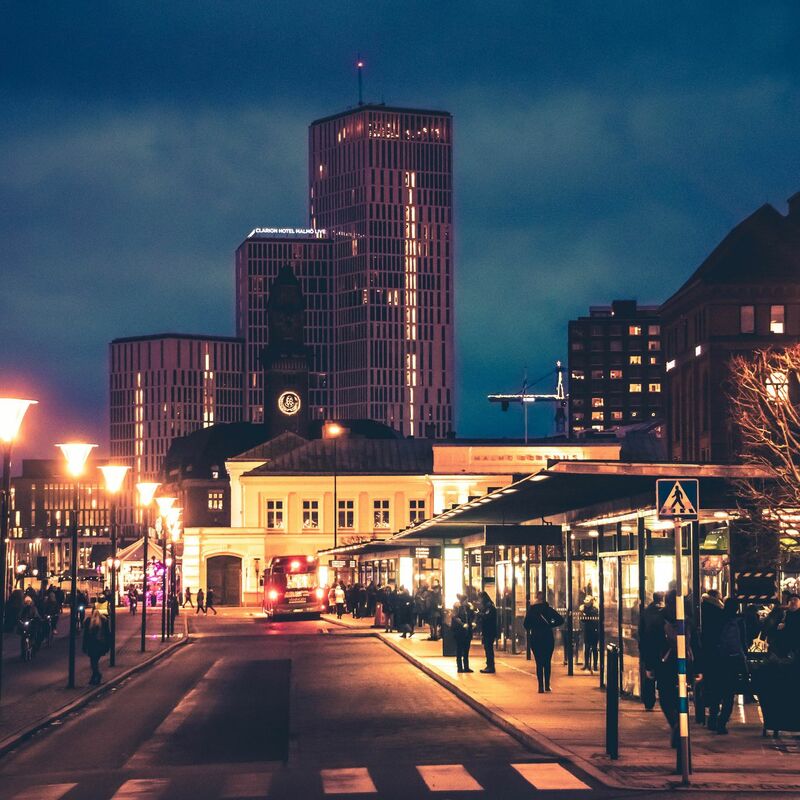 with Joel de la Garza, Jonathan Lusthaus, and Hanne Tidnam (@omnivorousread)The idea of the cybercriminal as lone wolf or hobby hacker is no longer much of a reality. Instead, the business of cybercrime looks a lot more just like that -- a large, global technology business, with many of the associated structures, challenges, and even casts of characters that legitimate businesses have.In this conversation, a16z's Joel de la Garza, a16z operating partner for information security (formerly CSO of Box and head Citigroup's Cyber Intelligence Center), and Hanne Tidnam, discuss with Jonathan Lusthaus -- Director of the Human Cybercriminal Project at the University of Oxford -- the evolution of the industry of cybercrime from single perpetrator into a sprawling and sophisticated international industry as discussed in his new book, Industry of Anonymity: Inside the Business of Cybercrime.A dive into the sociological, operational, and tactical realities of this murky underworld, Lusthaus and de la Garza discuss what the current industry has evolved into -- who the players are, what they are motivated by, and specialize in -- as well as how basic ideas like trust and anonymity function in a world where no one wants to get caught. How do criminal nicknames function as brand? Which countries tend to specialize in what kinds of crime, and why? And most of all, what changes when you begin to think of the business of cybercrime as an industry? with Benedict Evans (@benedictevans) and Steven Sinofsky (@stevesi)Every year, the Consumer Electronics Show (CES) puts the latest and greatest developments in consumer technology on display in Vegas. But beyond the excitement and the hype, what's really here -- or not here -- to stay? Will televisions roll up into tiny boxes? Will Alexa find her way into electric carving knives? Which of these new gadgets will stand the test of time? 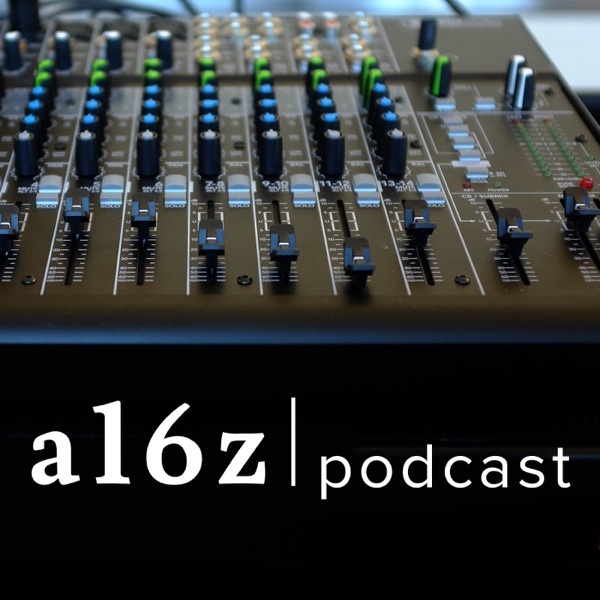 In this episode of the a16z podcast, Benedict Evans and Steven Sinofsky share their take not only on what this year’s show had to offer, but the broader trends at play. From the evolution of the smart home and voice interfaces to the cycle of bundling and unbundling and the future of TV and entertainment, the discussion is a pulse check on where we're at.---The content provided here is for informational purposes only, and does not constitute an offer or solicitation to purchase any investment solution or a recommendation to buy or sell a security; nor it is to be taken as legal, business, investment, or tax advice. In fact, none of the information in this or other content on a16z.com should be relied on in any manner as advice. Please see https://a16z.com/disclosures/ for further information.This podcast may contain forward-looking statements relating to the objectives, opportunities, and the future performance of the U.S. market generally as well as specific publicly traded companies. Forward-looking statements may be identified by the use of such words as; “believe,” “expect,” “anticipate,” “should,” “planned,” “estimated,” “potential” and other similar terms. Examples of forward-looking statements include, but are not limited to, estimates with respect to financial condition, results of operations, and success or lack of success of any particular investment strategy. All are subject to various factors, including, but not limited to general and local economic conditions, changing levels of competition within certain industries and markets, changes in interest rates, changes in legislation or regulation, and other economic, competitive, governmental, regulatory and technological factors affecting a portfolio’s operations that could cause actual results to differ materially from projected results. Such statements are forward-looking in nature and involve a number of known and unknown risks, uncertainties and other factors, and accordingly, actual results may differ materially from those reflected or contemplated in such forward-looking statements. Prospective investors are cautioned not to place undue reliance on any forward-looking statements or examples. None of AH Capital Management, L.L.C. or any of its affiliates, principals, employees nor any other individual or entity assumes any obligation to update any forward-looking statements as a result of new information, subsequent events or any other circumstances. All statements made herein speak only as of the date that they were made.